Back from Baltimore that is! We met some great people, vendors and customers who we hope to see again soon. The space for the show was beautiful and the weather cooperated giving us wonderful weather. 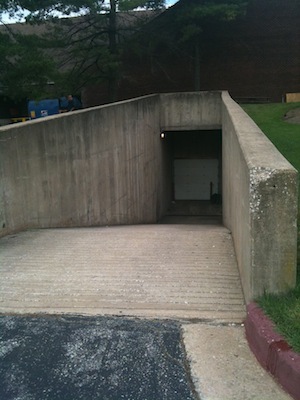 There was one thing about the show that was scary - the ramp for loading. We called it the 'ramp of doom' and decided to find ways to avoid dealing with it. It had to be at least a 60 degree incline - not for the faint of heart. And in case you missed us, here are a couple of booth shots.